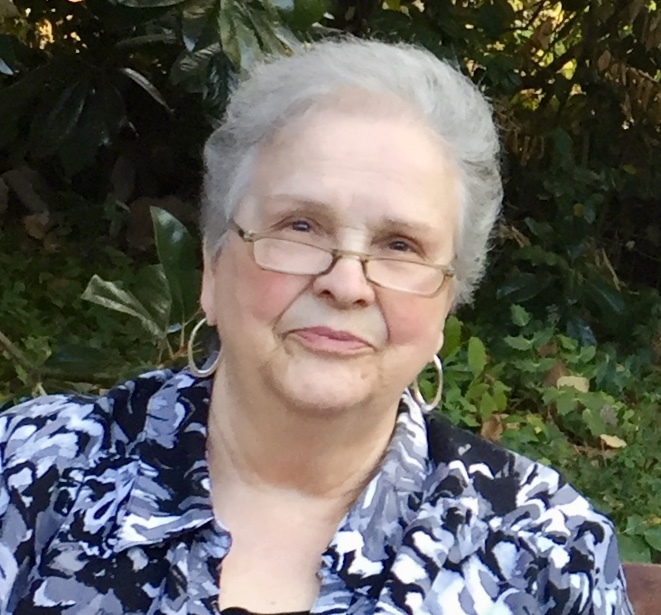 Mary Catherine Roling Ayers, age 79, of Athens, Georgia died peacefully on December 14, 2018 after an extended illness. She was born to the late Annie Sue Fortson Roling and William Matthew Roling on November 30, 1939. Catherine, a native Athenian, was a member of Athens High School’s Class of 1958. After high school she married and later made her home in Madison County. While raising her three children, she worked for the City of Athens in Water Works and in the billing department. Catherine was trained in New York City to be one of the first data entry operators when the City of Athens became computerized and later merged with the Clarke County government. Catherine’s passions were her family, cooking, traveling, growing flowers, and decorating. She was one of six children: two brothers and three sisters, one being her identical twin. To her, family always came first. She instilled this value in her own three children, as well as the love for helping others with social visits and home cooked meals. Upon retirement, she enjoyed traveling with her husband, Forrest, and was able to see all 48 of the Continental States. Besides her parents, Catherine was predeceased by her husband of twenty-one years, Forrest Snow Ayers. She was also predeceased by her brother Buford Roling and her sisters Sue (Johnny) Manley, Carolyn (Charles) Lester -her identical twin, Gaynelle (Rondall) Mize, and sister-in-law Betty (Ray) O’Kelley. Catherine is survived by her daughters Lisa Barrett of Athens and Leslie (Frank) Jones of Arnoldsville, her son Bryan Barrett of Athens, and her special daughter/niece Lynn (Edward) Walker of Cartersville. She is also survived by her eleven grandchildren: Gillian (Cory) Patton, Ryan Jones, Derrik Shillcutt, Matthew LoParco, Max LoParco, Caitlyn (Matt) Watson, Autumn (Michael) Wells, Caroline Walker, Myles LoParco, Jake Walker, and Dylan Marie Jones. She had six great-grandchildren: Brianna Shillcutt, Gabriella Wells, Emma Watson, Cullen Patton, Emersyn Patton, and Teagan Wells. In addition, she is survived by her brother Kenneth (Maryann) Roling of Colbert, sisters-in-law Edith Roling of Madison and Carole Ferguson (Larry) of Athens, and many loving nieces, nephews, and cousins. A special thank you to the nurses and staff of High Shoals Rehabilitation Center and Affinis Hospice for their loving care of our mother. A celebration of Catherine’s life will be held at Lord and Stephens West on Saturday, December 22nd at 2:00 pm. Visitation will be at 1:00 pm. Flowers are appreciated. Donations can be made to the American Diabetes Association (www.diabetes.org/donate) or Affinis Hospice c/o Community Health Foundation, 1005 Boulder Drive, Gray, GA 30132.